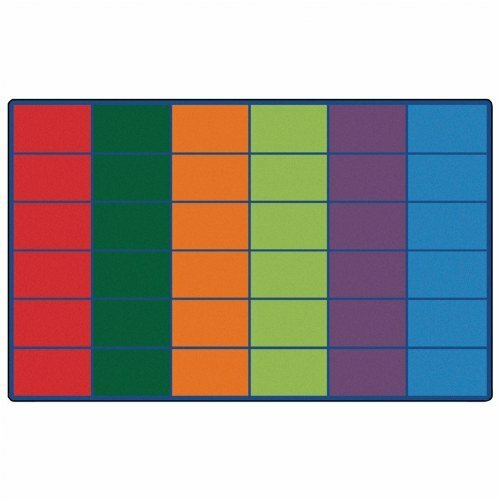 Colorful rows seating rug features 36 squares for seating. Seating size is 25 1/2" x 15". measures 8'4" X 13'4". If you have any questions about this product by Carpets for Kids, contact us by completing and submitting the form below. If you are looking for a specif part number, please include it with your message.